The 2015 Run For The Animals is dedicated in memory of Brooks "Butch" Allen. Mr. Brooks Ewell “Butch” Allen, 69, husband of Carolyn S. Allen and a resident of Accomac, VA, passed away Saturday, July 5, 2014, at Riverside Shore Memorial Hospital in Nassawadox, VA.
Born April 11, 1945 in Nassawadox, he was the son of the late Harry D. Allen and Nellie Parramore Milliner Allen. Butch was the current Mayor of the Town of Accomac, a position he has held for many years. He was proud to serve his community, and was always there to help others in their time of need. In addition to his mayoralty, he spent many years as a builder and carpenter. Butch greatly enjoyed spending time with his family, and loved fishing and camping. In addition to his loving wife, he is survived by two daughters, Kahlan Cherrix and husband Robbie, and Nikki Allen, all of Accomac; and three grandchildren, Hayley, Bobby, and Austin Cherrix. Other than his parents, he was predeceased by a sister, Sarah Allen Peppler. For those of you who have participated in the Run For The Animals in previous years; you would have seen Butch and Mike Lewis manning the first water station at the turn around point for the 10K. But, he did so much more; Butch was usually the first volunteer to arrive on race day, ready to do whatever was needed. He also provided all the coolers and large tables for the event. 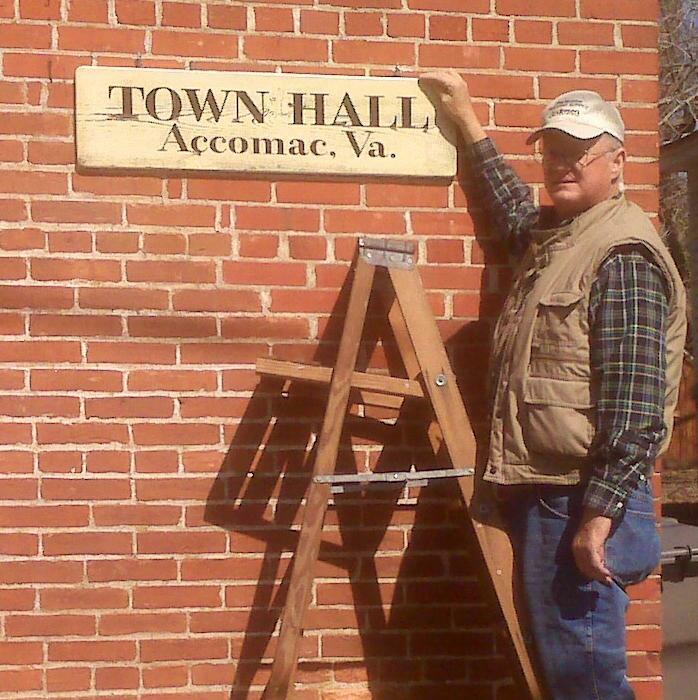 But, let's go back to 1999, when I accepted the position as Clerk for the Town of Accomac, of which he was Mayor. Butch was a carpenter by trade, a master carpenter. But not only could he build a house from the ground up, but he could do the electric, the plumbing and the heat. I can't begin to remember all the times I called upon him late at night or early in the morning when I didn't have water or awoke to a cold house. One call, no matter what time, and he'd come right over. Since his passing, so many people have told me he always did the same for them. Living in the small Town of Accomac, with it's older historic homes, many in need of repair or renovation, he always had a waiting list for his services. A good man has left this world too soon. He will be greatly missed by his family, friends, and the community. all your "good deeds" you've extended to your friends and neighbours throughout your life. Run For The Animals~~~~~~~~~~All Rights Reserved~~~~~~~~~~This Site For Informational Purposes Only~~~~~~~~~~Powered by Joomla!